“Universal Surveillance”: Is This What Britain’s ‘Snoopers Charter’ Will Be Used For Eventually? One should wonder where the universal surveillance system dubbed the ‘snoopers charter’ installed by Britain’s government is heading for eventually. Recently described by Edward Snowden in tweets as the “most intrusive and least accountable surveillance regime in the West” and its “a comprehensive record of your private activities, the activity log of your life,” – it should really make you ask that question. We now have a good idea of what surveillance the British government is going to be conducting over its citizens from now on. But think for a minute. The last twelve months of online activity will be captured – what does this say about you? What does it look like? Does it reveal your political interests, subscriptions, social networks and how they relate to you, religious or medical concerns, even your most private sexual interests. And fantasies; fantasies that many people have that are never enacted, such as doing something evil or illegal – but searching the internet out of nothing more than inquisitiveness. How confusing would that be to the state or to one of the many tens of thousands of individuals in government departments not professionally trained to interpret all this data. 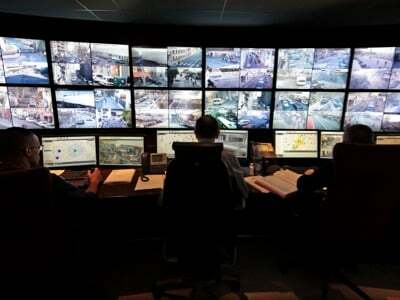 Generally speaking what this surveillance system does is to map out who you really are like no other. Before we consider where this system is potentially going, it should be understood what the government is capable of when it comes to creating an act and then abusing it. Let’s take the the Regulation of Investigatory Powers Act 2000 (RIPA). RIPA was primarily defined as a legal framework to combat serious crime and terrorism: “In the interests of national security (including terrorism), for the purpose of preventing or detecting crime or of preventing disorder, in the interests of the economic well-being of the United Kingdom, in the interests of public safety, for the purpose of protecting public health.” Four iterations later in 2003, 2006, 2010 and 2015 and the Act has widened out dramatically. Soon after Theresa May at the Home Office got her knees under the table, the use of RIPA caused headlines such as: “Official complaint over police use of Ripa against journalists” (The Guardian) and “BBC uses anti-terror spy powers to track down licence fee dodgers” (Daily Mail). Then we found that local councils were using this act designed to catch serious criminals and terrorists to hunt down non-payment of council tax. Indeed, 11 councils every day were conducting thousands of covert surveillance operations across the country for this purpose alone. These same anti-terror laws were also used to target dog fouling and even underage sunbed users and parking fines. If ever there was a case for highlighting mission creep by the government, the Regulation of Investigatory Powers Act defines it perfectly, the Terrorism Act 2000 seems to work in harmony, when it suits the government. Back to the, where are the new surveillance laws going question. If the government now has total access to your entire life and you apply mission creep as in the proven example above, consider what China is currently testing right now. “Hangzhou’s local government is piloting a “social credit” system the Communist Party has said it wants to roll out nationwide by 2020, a digital reboot of the methods of social control the regime uses to avert threats to its legitimacy. More than three dozen local governments across China are beginning to compile digital records of social and financial behavior to rate creditworthiness. A person can incur black marks for infractions such as fare cheating, jaywalking and violating family-planning rules. The effort echoes the dang’an, a system of dossiers the Communist party keeps on urban workers’ behaviour. “A credit-scoring service by Alibaba affiliate Ant Financial Services—one of eight companies approved to pilot commercial experiments with social-credit scoring—assigns ratings based on information such as when customers shop online, what they buy and what phone they use. If users opt in, the score can also consider education levels and legal records. Perks in the past for getting high marks have included express security screening at the Beijing airport, part of an Ant agreement with the airport. Planning documentation in a ZeroHedge article on the same subject described the credit system to “allow the trustworthy to roam everywhere under heaven while making it hard for the discredited to take a single step.” It even provides an over-arching infographic. According to the WSJ/Zerohedge articles a “blacklisting system” has already been created. The purposes of this is to counterbalance the good behaviour credits. “The system is designed to automatically provide “green lanes” for faster access to government services for “well-behaved” citizens while levying travel bans and other punishments on those who get out of line. China’s judiciary has already created a blacklisting system that would tie into the national social-credit operation. Zhuang Daohe, a Hangzhou legal scholar, cites the example of a client, part-owner of a travel company, who now can’t buy tickets for planes or high-speed trains because a Hangzhou court put him on a blacklist after he lost a dispute with a landlord. The blueprint to this system is really quite simple. Credits are given for perceived good behaviours and taken away by bad perceived behaviours. Well behaved citizens will get access to “Green Lanes” that gives faster and better government services and penalties for those with low scores include delays or higher barriers to obtaining loans for instance or being given access to leisure services. Additional scrutiny will be implemented for those who are classified in more sensitive employment such as journalists, lawyers or teachers, but one can can see how wide this list might become. It’s all about control. Think this is all too far-fetched for a democracy like Britain or America? Well, it is already happening – slowly. The government knows the theory of the panopticon. Its been using it for centuries. The panopticon is a type of institutional building designed by the English philosopher and social theorist Jeremy Bentham in the late 18th century. The concept of the design is to allow all (pan-) inmates of an institution to be observed (-opticon) by a single watchman without the inmates being able to tell whether or not they are being watched. Although it is physically impossible for the single watchman to observe all cells at once, the fact that the inmates cannot know when they are being watched means that all inmates must act as though they are watched at all times, effectively controlling their own behaviour constantly. Bentham’s design is being adapted as a government playbook for future civil rights and liberties. Investigatory Powers Bill will provide any Secretary of State with the ability to force communication service providers (CSPs) to remove or disable end-to-end encryption. Here’s how: Pew Research conducted over two and half years from 2014 (after the Snowden revelations) demonstrates how self censorship is already working in a big way. “Some 86% of internet users have taken steps online to remove or mask their digital footprints, but many say they would like to do more or are unaware of tools they could use. And 55% of internet users have taken steps to avoid observation by specific people, organizations or the government – 61% say they would like to do more to protect their privacy.” In addition 31% had taken at least one step to hide or shield their information from the government. A study by the University of Oxford demonstrated some interesting results regarding recent changes in our internet activities. The study provides evidence of the “chilling effects” of Wikipedia users associated with online government surveillance, again after the Snowden revelations of 2013. This study is among the first to demonstrate — using either Wikipedia data or web traffic data more generally — how government surveillance and similar actions may impact online activities, including access to information and knowledge online says it author Jon Penney. Here is proof that the more people know they are being surveilled, the more they censor themselves. The government are becoming so intrusive that many now believe for self protection they are to be classed alongside hackers. So as Bentham’s panopticon is redesigned for the digital age to instil anxiety in order that those in power continue their reign, everyone else is being forced to bow their heads for fear of being caught looking up. In the meantime, China’s new method of population control will, no doubt, be carefully monitored by our own government and who knows, may modify, adapt or even adopt it to control behaviour of its citizens (who just voted against the establishment by way of Brexit). Our government had no intention of declaring its universal citizen surveillance systems found to be illegal in courts both at home and abroad and in an attempt to legally cover itself has railroaded through the Snoopers Charter in record time, willingly supported by an opposition in exchange for nothing more than a self centred exclusion clause for its own benefit. The government, after a few more years of unchallenged and weak opposition will continue to act as though it has some divine existential right to move Britain towards an authoritarian state where the thin veil of democracy is more rhetoric than reality and corporations seize complete control such as CETA’s rampant profiteering ambitions.